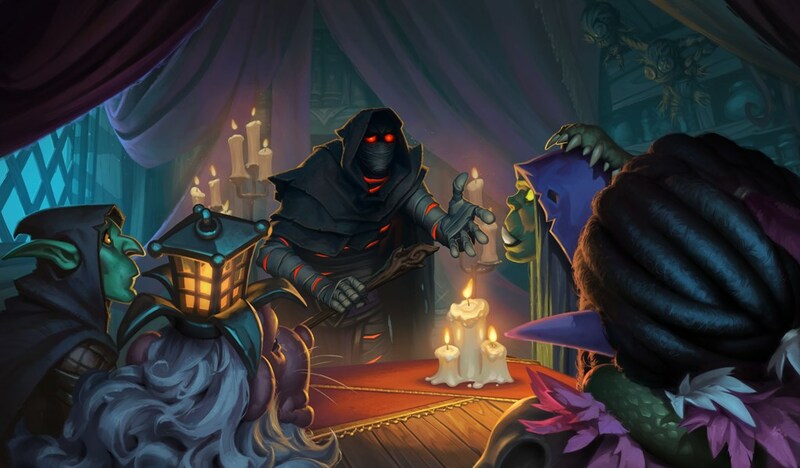 Hearthstone’s Rise of Shadows expansion is finally here, which means all of our decks are now useless in Standard. 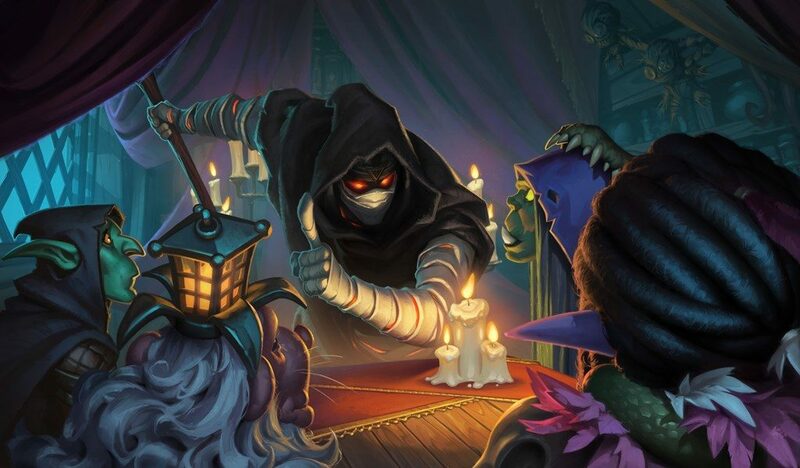 Check out these promising Rise of Shadows deck ideas to get you back on track, but remember, the expansion is brand-new, so craft with caution. Secret Paladin is a classic archetype for the class, but it didn’t see much play during the Year of the Raven due to the dominance of Odd and Even Paladin. Now that Genn and Baku have been moved to the Hall of Fame, Paladin will need a few fresh archetypes to pick up the slack. This is a budget version of Secret Paladin that was put together by Old Guardian. The deck uses a number of new Paladin cards, including the new Secret, Never Surrender, as well as the new Twinspell card Desperate Measures. Much like Secret Paladin decks of old, your primary focus will be using your opponent’s tempo against them. Take advantage of their mistakes through the use of your Secrets, then use the rest of your deck to keep piling on the pressure. Even Shaman was the go-to deck for the class over the past few months and as we all know it will soon no longer exist within Standard play. Luckily for Shaman players however, it looks like Rise of Shadows aims to bring an old favorite of the class back to life, in more ways than one. The new Murloc Cycle Shaman nearly builds itself, but this version comes to us from Dekkster. One of Shaman’s new Legendary minions is Scargil. This four-mana cost, four-attack, and four health Murloc has an effect that makes all your other Murlocs cost one mana. This gives you the ability to populate your board efficiently. Combine Scargil and your other Murlocs with the Spell card Soul of the Murloc and you’ll find yourself with a seemingly never-ending Murloc army. Warlock had an interesting year in Hearthstone and had a number of successful decks that received nerfs. Cube and Even Lock dominated the class for quite some time, but now that neither is an option it looks like the Warlock class might be heading back to its roots. Zoo Lock is one of the easiest and most fun decks to play and usually shows up in one form or another every expansion. This new version of Zoo Lock looks to take advantage of the high number of demons joining the class with Rise of Shadows. This deck also takes advantage of the leader of the League of EVIL, new Warlock Legendary Arch-Villain Rafaam. Like Zoo decks of old, you’ll be focusing on getting out low-cost minions and using them to smash your opponent in the face. When you draw Rafaam, enjoy turning all those low-cost minions in your deck into shiny fat Legendaries. Mage got a number of interesting tools during the Rastakhan’s Rumble expansion with cards like Jan’alai the Dragonhawk, but for some reason the class still couldn’t find a seat of dominance. Rise of Shadows brings a variety of new and unique tools to the Mage class, including a number of new cards that aim to bring back an old favorite, Miracle Mage. Mana Cyclone is one of the most powerful two drops of the expansion and is the primary building block for this new Mage deck. Mana Cyclone is a two cost Elemental that has two attack and two health, its Battlecry however is where the fun lies. For each spell you’ve cast prior in the turn, Mana Cyclone will add a random Mage spell to your hand after it enters the field. The deck comes filled with a variety of low-cost spells, meaning it won’t be difficult to combo cards with your Mana Cyclone. You’ll also be running Stargazer Luna for some extra card draw, hopefully providing you with all the tools you need to smash your opponent. 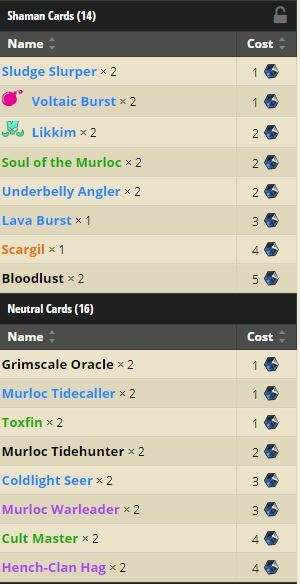 If none of these decks suit your fancy, fret not. Check back here as the expansion progresses for more information about what is shaping the new meta. You can log on to Hearthstone now to check out the new Rise of Shadows expansion and start busting open packs. Good luck!